Butler is an easy-to-use computer control that turns your quilting machine into a QUILTING MACHINE! For Quilters looking to quilt with confidence and ease, simply press GO and let Butler quilt simple to complex patterns with perfection. Quilt smoothly, quickly and effortlessly! 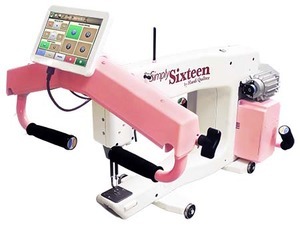 The Butler Computerized Quilter is designed to attach onto just about ANY MACHINE on the market today. 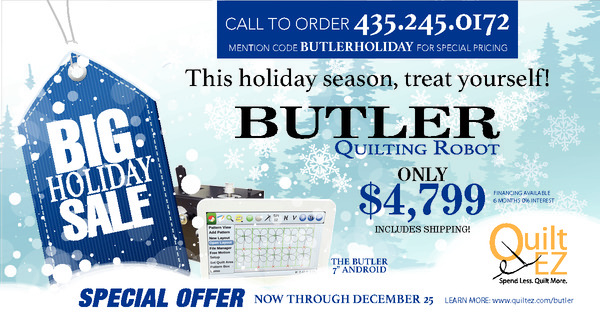 The Butler Computerized Quilter is designed to attach onto just about ANY MACHINE on the market today. See below for our complete compatibility list. COMPUTERIZED QUILTING THAT SERVES YOU! Butler - How to stitch a quilt block. WHAT IS ADDED TO MY MACHINE? Enjoy an easy-to-use, high-resolution touch display. Butler connects Seamlessly with the Perfect Stitch Regulator. (*Perfect Stitch Regulator not included with Butler) note: Perfect Stitch is not required to use Butler on your quilting machine. Butler will attach onto ANY quilting machine on the market, regardless of the machine’s stitch regulator. The 7 inch Android tablet gives you many of the features and functionality of Butler at an affordable price. The Linux display Comes only with the essential software to get you quilting as soon as possible. 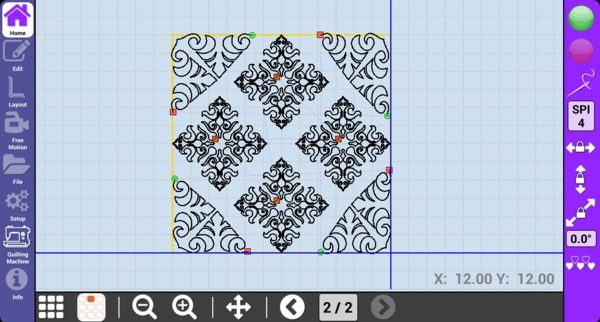 Define the height and width of where you would like to stitch your pantograph and/or quilt block patterns by defining “pattern boxes” on the butler display. Purchasing only the essentials of butler with the 7 inch Android tablet saves you money. Regardless of which display you choose, Butler is compatible with nearly every machine on the market. The Android tablet gives you all the functionality of the 7 inch display, along with the quilting industries latest advances. 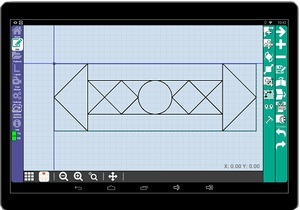 The Android Tablet gives you all the features of an android device. Access the Google Play store, Browse the internet, or even watch YouTube videos all from your quilting machine. Along with the ability to rotate, autosize, and repeat patterns, Butler also includes a crop feature, perfect for applique patterns. You can also see a birds-eye view of all your to-be-stitched patterns, select which patterns you would like to run. Wireless internet lets you access popular sites, like YouTube, Pandora, E-mail and others, all right from your quilting machine. You’ll also be able to install software updates at the push of a button. We are the only system on the market to be able to QUICKLY update over WiFi. Expand from one pattern repeat to all over quilting. Isn't it about time you had your own Butler? Now is the PERFECT TIME to upgrade your machine for full-service computerized quilting. 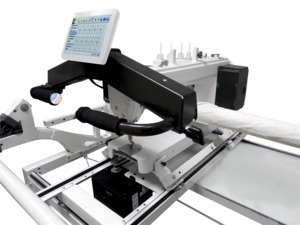 We will work with your local dealer or tech to get you all set up OR you can ship your machine to the Quilt EZ factory for an on-site install. 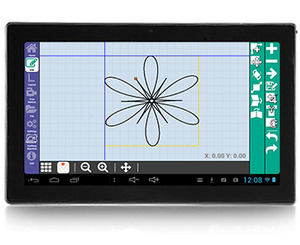 The Android tablet gives you all the functionality of the quilting industries latest advances. Pick your screen size; Choose the 10" model for a larger, easier to see screen.